Standing at 5’9 130lbs Luke Gregoli arose above everyone in his way. He has attended Inola Schools all his life and this will be his first year in Longhorn Media. His hobbies include golf, hunting, fishing, shoe collecting, skiing and a love for music. He loves spending times with his friends. He loves to go skiing in Colorado and going on a lot of vacations with his family and friends. He wanted to join this class because of his interest in photography, videography and broadcasting. The only sport he plays is golf and is working his hardest to make it to college for it. Outside of school he is involved in Inola United Methodist Church and United States Junior Golf Association. 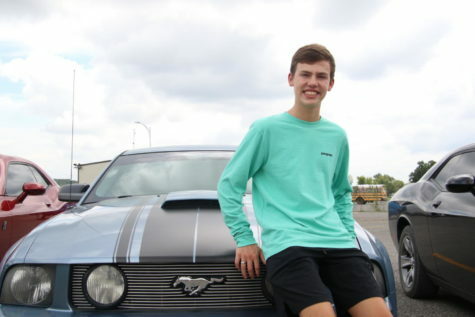 He plans to attend Oklahoma State University after high school and get a degree in International Business. Later in life he wants to settle down and start a family.